Enter your pre-issued promotional code to receive discounted tickets. Drawing from hip hop, trap and drum and bass influences, Tibia throws down the ultimate new-circus music video. 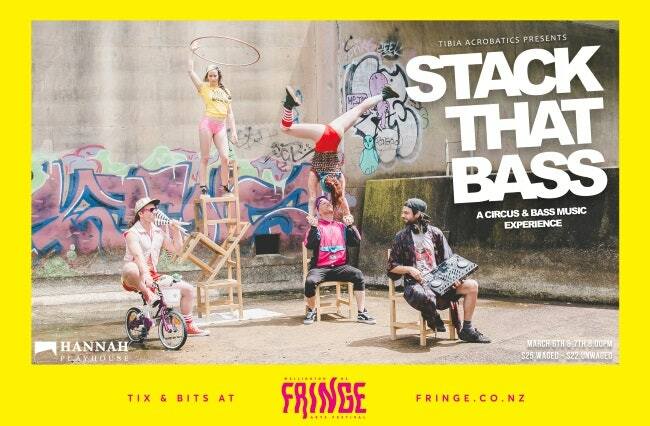 With a live DJ, slick comedy infused with acrobatic antics, nail-biting chair balance, explosive juggling and gut-wrenching aerial beauty, Stack That Bass is a celebration; it is the anticipation before the beat drops, it is the leap of faith and it is the euphoria of success - leaving the audience higher than the DJ! Join the Tibia crew for a rowdy circus party like you've never seen before, generating the raw electricity and excitement that only live acrobatics can.